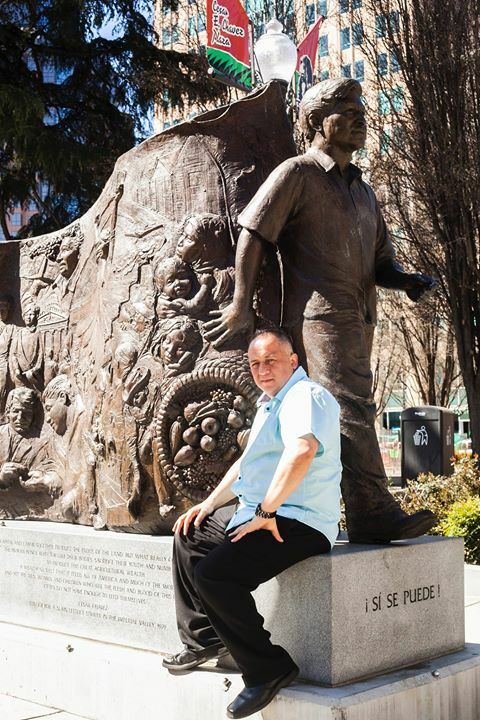 In Cesar Chavez Plaza in downtown Sacramento a statue quietly pays tribute to a man who dedicated his life to others. It depicts Cesar Chavez leading the Farm Workers whose lives inspired him to his lifelong cause. On the statue is written ‘Sí Se Puede’. Yes, It’s Possible. As Cesar Chavez knew – with a clear heart, hard work, empathy and compassion – all things are possible. Señor Ernesto Delgado shares the vision that all things are possible. Make Downtown Sacramento a destination for everyone/li>Cesar Chavez Plaza is a place of community. A place for families to linger over the Farmer’s Market, looking for the perfect flat of juicy strawberries. A place for friends to enjoy concerts in the park and dance with joyful abandon. And soon, a place to gather over fresh, delicious food and celebrate our diverse, eclectic city. La Cosecha – ‘The Harvest’. Our doors will be open in late April to welcome all who want to share the friendly nature of the Plaza. Like Plazas in México, it will serve as the center of bustling activity in the heart of downtown. The focus will be on fresh, locally sourced ingredients – grass-fed meats, free-range poultry, creative vegan and vegetarian choices, and environmentally friendly packaging. As America’s Farm-to-Fork Capitol, Sacramento is a wonderful place to celebrate fresh, good food made with quality ingredients. Señor Delgado feels that Cesar Chavez Plaza is the perfect location for La Cosecha. After all, at the heart of the Plaza we’re reminded of the life and legacy of Cesar Chavez, who spent a good deal of his youth toiling in the fields as a farm worker and later became the leader of one of the most iconic civil rights movements. A man for whom the good of his community was greater than personal gain. Consistent with the sunny Plazas of México, the food will be similar to Mexican street food – the much loved ‘grab and go’ fresh food. Small plates that allow you to experience the unique flavors of true México – with a Sacramento flair. A ‘Happy at the Park’ happy hour will feature not only an amazing array of unique fresh Tequila and Mezcal cocktails, but a delicious selection of small plates. La Cosecha will be focused on fine, small-batch Mezcales. Catering for corporate events and office delivery for those wanting lunch and dinner will also be offered. A ‘Grab and Go’ regular menu for working professionals who want a healthful and delicious lunch but are limited on time – such as a Mango, chile and lime salad and quesadillas with roast corn, poblanos, caramelized onion and crema. Imagine – It’s a beautiful Spring day. The sun is warm on your skin and a gentle breeze slowly rolls a few leaves toward the grass. Everyone in the park is smiling as they enjoy this beautiful oasis in Downtown Sacramento. You are holding a fresh La Cosecha taco and have the luxury of almost an hour still left of your lunch. Instead of spending your lunch hour waiting for food and then having to gulp it down quickly, you now have the luxury of savoring your lunch as you meet old friends and new in the beautiful Plaza. Cesar Chavez Plaza brings to mind close, inclusive communities where people mingle and share their lives. A place of happiness to celebrate the bounty of our region!